Home / News / BBC School Report / What will the MAT offer us? What will the MAT offer us? 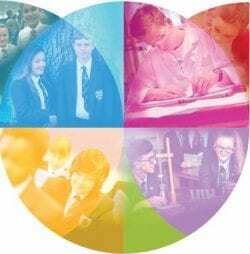 Bridgewater High School and six other schools have consulted on whether join together to form an MAT (which stands for Multi Academy Trust). All together there are seven schools taking part in this scheme these are Bridgewater high school, Beamont collegiate academy, Sir Thomas Botler CofE, Great Sankey Primary, Penketh High School, Penketh South Primary, Priestley College. This will give the opportunities to share resources and facilities between these schools. The benefits of being in a Multi Academy Trust could allow the schools to share resources and get better deals on other educational resources (therefore saving schools money to spend on other things). The Principal of Bridgewater High School Mr Long says “this is a great idea and he fully backs the proposal.” He also said that the aim of this move from an SAT (Single Academy Trust) to a MAT is to help raise standards in schools. Will we lose our identities as a school? According to Mr Long, as a school we will not lose our identities. Each school will stay as it is now. He also went on to say teachers may share their expertise with other schools and could go to another school to help out a certain department. How will it affect students? Students will not notice these changes, as it will not affect their daily lessons or the curriculum taught day to day. The consultation found that 77% people agree with the MAT proposal. 14% people opposed and 9% were undecided. This shows that the majority of people are in favour of all seven schools becoming an MAT together. In conclusion, this move from a Single Academy Trust to a Multi Academy Trust, will benefit schools around Cheshire. It can help to raise school standards and also allow saving on resources.